The Nationalist and Democratic Parties have formalised a political agreement to contest the next general election on the same list. Details of the agreement were given this morning during a press conference held by PN leader Simon Busuttil and PD leader Marlene Farrugia. The agreement will see PD candidates on every district contesting under the name and logo of the PN. They will, however, be described as 'tal-orange'. Any PD candidates elected to parliament will form part of an eventual Nationalist government while retaining their identity, the two party leaders said. The two parties will have a common electoral manifesto based on good governance, full transparency, social justice, environmental championing and constitutional changes. 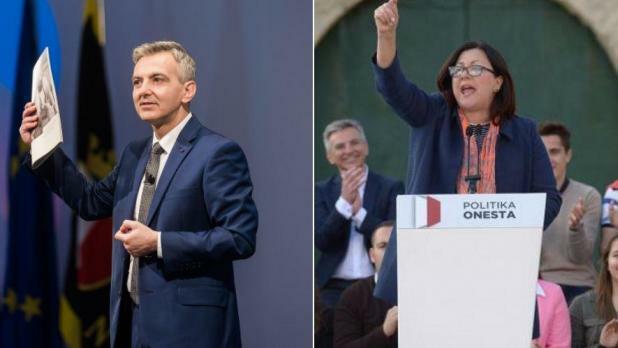 PN leader Simon Busuttil confirmed that the PN was also in talks with Alternattiva Demokratika, with the latter invited to join the PN's political grouping opposed to corruption. The agreement reached can be read in the pdf link below. Marlene Farrugia said the next election might be the last chance to get rid of a corrupt clique which had hijacked the Labour Party for their own personal interest. She said that Joseph Muscat had clearly deceived "genuine" Labour voters and that the country had to avoid stooping any lower "before it's too late."